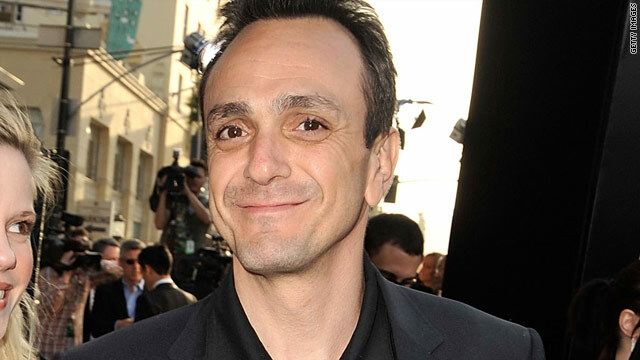 Hank Azaria will play Gargamel in the 2011 release of "The Smurfs." The Frisky is getting excited about the 2011 release for "The Smurfs"
(The Frisky) -- La, la, la, la, la, la, la, la, la, la, la ... "The Smurfs" film is coming soon to a theater near you. According to the New York Post, Hank Azaria, who will play Gargamel, has been spotted rocking a "chrome dome" in public, which can only mean one thing. We're getting closer to the slated 2011 release of the film. If you were a child in the '80s and your family owned a television, then you were probably glued to the screen every Saturday morning watching your favorite little, blue people foil Gargamel's evil schemes, live peacefully as communists, and spread their Smurfiness around the village. Here's why we're totally Smurfing out over this new movie. 1. We're dying to see blue characters that have nothing to do with "Avatar." 2. Our Smurf figurines from the '80s will finally be considered vintage. 3. The Snuggie was invented just in time for Hank Azaria's Gargamel costume. 4. Azreal, Gargamel's evil feline companion, will appear as a live cat with CGI facial expressions. Take that, Cheshire Cat. 5. We're finally old enough to understand there was something not quite right about Smurfette being the only female living with 100 Smurf dudes (besides the peripheral Sassette and Nanny). Katy Perry's voice should bring an interesting twist to the character. Perhaps Smurfette will kiss a girl and like it in the remake? 6. Neil Patrick Harris and "Glee"'s Jayma Mays will appear as ... humans. 7. Paul Ruebens, aka Pee-Wee Herman, as Jokey Smurf? Heh, heh, heh. 8. Our little blue friends will finally be in 3-D! 9. We can resume our childhood crushes on Hefty and Handy Smurf. Baker and Brainy are not too shabby either. 10. We're relieved to know what we'll be dressing up as next Halloween. 11. The Smurfs' message is an important one: love thy neighbor. Peace and Smurfiness forever! The Frisky: What Bachelor Jake should do after getting kicked off "DWTS"